A Kentucky-based physician with a troubled past is hospitalized after being dragged off a United Airlines flight. David Dao, MD was one of four passengers told to get off the overbooked flight to make room for United stand-by employees. Dao refused on the grounds that he needed to get back to Kentucky to see his patients, and was subsequently (and literally) dragged off the airplane by police. While United has faced extreme backlash over its handling of the situation, Dao’s criminal history hasn’t done him any favors when it comes to casting him as an innocent victim. 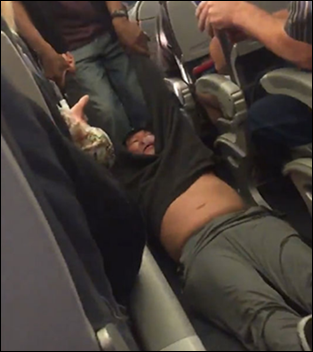 United employees described him as disruptive and belligerent when told he needed to give up his seat. The incident brings up the issue of overbooking policies, which, as one Twitter observer noted, won’t be a problem for United if all their planes are empty. From NantWatcher: “Re: Layoffs at NantHealth. Another round last week – spread across multiple sites, departments, and seniority from entry-level to VP. Roughly 50 impacted.” Unverified, though Politico reports that shares of the company fell 15 percent earlier this week – a circumstance it seems to directly attribute to its exposé of Soon-Shiong and his self-serving philanthropic efforts. April 26 (Wednesday) 1:00 ET. “SSM Integrated Health Technologies Clinical Data Migration: Functional and Technical Considerations.” Sponsored by Galen Healthcare Solutions. Presenters: Sandy Winklemann, MHA, RHIA, project manager, SSM Integration Health Technologies; Tyler Mawyer, MHA, managing consultant, Galen Healthcare Solutions; Kavon Kaboli, MPH, senior consultant, Galen Healthcare Solutions. GE Centricity and Meditech to Epic EHR transition. Join us for a complimentary webinar as present the decisions that are important to consider when performing a clinical data migration from the point of view of the healthcare organization program manager, the clinical analyst, and the technical implementation team. Our expert panel will survey data migration considerations, best practices, and lessons learned. The webinar will present a unique client perspective, offering insight into considerations surrounding staffing, clinical mapping, legacy application support, and validation and testing. Azalea Health acquires San Diego-based EHR and PM company LeonardoMD for an undisclosed sum. A new CB Insights report shows that, while the large majority of digital health funding has gone to US-based startups, young companies globally are also addressing the challenge of improving healthcare. On a quarterly basis, equity funding to private US-based digital health companies saw a 128-percent increase from $768 million in Q4 2016 to $1.75 billion in Q1 2017. Meanwhile, funding to digital health companies outside the US saw a 146-percent increase from $252 million in Q4 2016 to $621 million in Q1 2017. Deals to US-based companies, which picked up at the end of 2016 after taking a dive in Q3 2016, again fell in Q1 2017, down to 147. This marks the second lowest quarter of the last three years. Deals outside the US, however, have surged recently from 55 in Q3 2016 to 102 in Q4 2016 and 104 in Q1 2017. Impact Advisors promotes Rob Faix and Mike Garzone to vice president. Health Catalyst hires Stanley Pestotnik (Pascal Metrics) as VP of patient safety products, and Carolyn Simpkins, MD (BMJ) as CMIO. Teri Thomas (UNC Health Care) will join Orion Health in May as EVP for global sales, marketing, and strategy. Doug Abel (Encore) has joined North Kansas City Hospital (MO) as CIO. Recondo Technology names Dan Grote (ReadyTalk) CFO and Tom Cooke (Advisory Board) (not pictured) VP of channel sales. 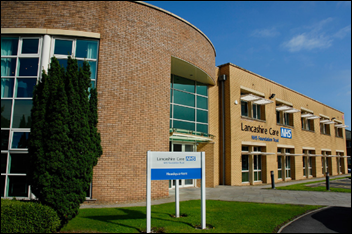 Lancashire Care NHS Foundation Trust selects UK-based Servelec’s Rio EHR. 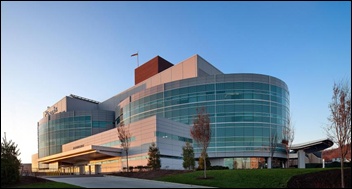 St. Joseph’s Healthcare System (NJ) will move from Cerner’s Soarian EHR to its Millenium EHR and HealtheIntent population health management system. It has also opted for the company’s RCM software and services. Arizona-based Banner Health will roll out patient access and provider management technology from Kyruus at its facilities in six states. 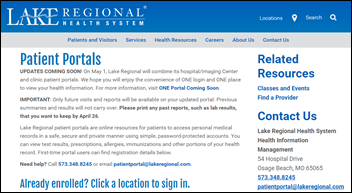 Lake Regional Health System (MO) prepares to roll out a single patient portal for its clinic and hospital patients. The portal, presumably part of the system’s conversion to Meditech 6.1, will go live in May. CIO Scott Poest has advised patients to print out any medical records related to care provided prior to May, since data from the previous portals will apparently not carry over. 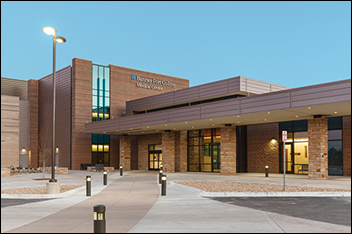 Trinity Health (ND) implements Acute, Population, and Practice Performance software from WhiteCloud Analytics. Mercy (LA) wraps up a six month implementation of an imaging management system from Medicalis across its 50 imaging facilities. It plans to connect the system to its virtual care center in the near future. A Pennsylvania Patient Safety Authority report released several weeks ago reveals that, in the first half of 2016, hospitals in the state reported 889 medication errors that were attributed in some way to EHRs and other healthcare IT. 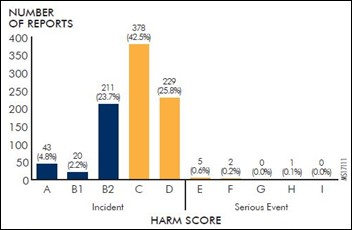 Nearly 70 percent of those errors – the majority of which involved missed or incorrect dosages – impacted patients, eight of whom were actually harmed. Co-author and pharmacist Matthew Grissinger counter intuitively stresses that while these results are the “classic tip of the iceberg” when it comes to uncovering medication errors, many of which go unreported, patients should feel no less safe. A University of Michigan study finds that participation in one or more value-based care programs resulted in fewer hospital readmissions and greater cost savings. 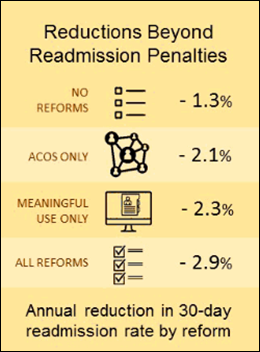 Researchers looked at patient care from 2,877 hospitals over a seven-year period and found that participation in Meaningful Use, ACOs, and/or bundled care payment programs helped the organizations save a combined $32 million. CPSI will add TruCode’s Encoder coding software to its Evident and Healthland EHRs. AthenaHealth adds electronic prior authorization technology from CoverMyMeds to AthenaClinicals. Allscripts puts its DbMotion software – part of its CareInMotion population health management platform - on the cloud via Microsoft Azure. Aprima Medical Software will add ActX’s genomic decision-support technology to its EHR. 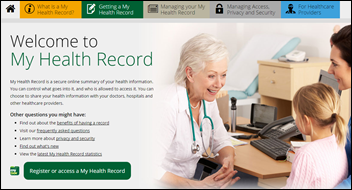 News Corp Australia discovers that privacy settings on the nationwide My Health Record are set to “universal access,” giving the government’s 650,000 registered providers access to the information. Tullamore Hospital in Ireland mistakenly sends a fax containing PHI to the office of the Data Protection Commissioner. Brooklyn-based artist Ace Volkov depicts computer viruses as comic book-like aliens as part of his “Brief History of Computer Viruses” series. Brain.A earns a special place in hacker history for its role as the first detected virus. 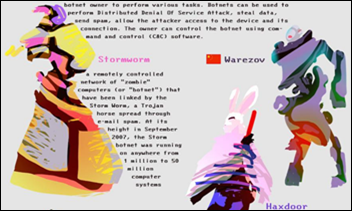 Characterized by Volkov as a menacing mass of magenta-hued lines, the MS-DOS-based virus was created in 1986 to infect floppy disks. President Trump nominates University of Minnesota healthcare economics professor Stephen Parente for assistant secretary for planning and evaluation at HHS, a role that would position him as the main advisor on policy development to HHS Secretary Tom Price, MD. Parente has had a taste of government work, having served as a health policy advisor for Sen. John McCain (R-AZ) during his 2008 presidential run. Besler Consulting will present and exhibit at the 2017 HFMA Northern California Annual Spring Conference April 13 in Sacramento. AdvancedMD expands its professional services team. ZeOmega releases 2017 updates to integrated patient assessments for its Jiva population health management software. The local paper profiles Hartford Healthcare’s (CT) plans to build a predictive analytics “command center” powered by GE Healthcare. Re:newcrop Wow. Why don’t you fight “fake news” with numbers and metrics as opposed to regurgitating buzzwords that make you sound like an idiot. I’m sure you’re company is proud to have a documented unpolished response live on forever on the web. Tuality Healthcare (through its partnership with OHSU) will begin implementing Epic later this year to replace Cerner. Tuality only went live on Cerner about 3 years ago. Wow! What system did they use prior? SMS? Unless we’re now living in “Minority Report”, Dr. Dao’s prior misbehavior has no bearing on United hauling a paying customer off a flight because they didn’t staff properly (it was not overbooked, everyone had a seat, they wanted to deadhead four crew); its just muckraking and free PR for a company worth billions of dollars. Is there a sliding scale for customer mistreatment? I once got thrown out of a bar when I was 25, what will that get me? Maybe someone will just stick their foot out and trip me on the jetway and use that as their ex post facto justification. I’m disappointed that Mr. HISTalk is regurgitating the United info about Dr. Dao’s past. This issue is 100% on United. Other passengers reported a passenger offered to take the bump for $1600 and the United folks laughed at him. I’ve personally been paid that to take a bump before, so it’s not outside the realm of SOP. My last United flight ever was last year. It was a new plane and was the most uncomfortable 9 hours I’ve ever spent in the air. They treat their customers like crap. I’m sticking with Delta, Southwest, KLM and Turkish Airlines. Totally agree. The airlines want to play “free market” when it comes to setting their ticket prices and jamming in as many people as possible (“its what the market will bear!”) but not when it comes time for passengers to set the fair market value for compensation for being bumped, both dollar amount and modality (vouchers? please.) The market won’t bear a lowball offer of $800 in vouchers? Offer cash, raise the amount, or both. It shouldn’t be a focus, but it does lend some credence to the reports that he was being belligerent with staff in that he has a history of not following the rules. It shouldn’t be the focal point of the report, though, I’d agree, and Mr. HIStalk only seems to be reporting that it is hurting his case with the general public, which is true whether you believe it’s right or not. There are a few things about this that I find interesting. Most people seem to accept the excuse, “I’m a doctor, I need to see patients” as valid. What if he was a cop, who needed to protect citizens the next day or a fireman? What if he was a nurse? While I put a lot of fault with United for their policies, I find just as much with Dr. Dao in this scenario. It sounds like at least 3 other passengers had to get off the plane and did so without incident. If United was being negligent here, take them to court, it’s been done before. It’s incredibly disappointing how many outlets are focusing on Dr. Dao’s past, as if a record from over a decade ago somehow makes it all okay. It’s the same thing conservative outlets do whenever another Black kid is shot by cops; they immediately begin digging into the victim’s past in an attempt to find anything to smear him with. You can do better, HIStalk. To RE:United Disobeying a flight crew member is a federal felony. This pax should have been charged with that arrested, and forced to pay the airline’s cost for this delay. I hope the airline presses charges. Otherwise, the next time this need arises, does it mean that if chosen that an obstinate, hostile, non complying pax refuses, they start going down the list until an introvert’s name is called? Is that fair? And this flight had to have one more pax deplane before it could depart. Airlines have policies, if you don’t like UA’s policy, don’t fly them. The local UA folk certainly handled it better – perhaps they should have announced “Ladies and Gentlemen, this flight is overbooked and 4 people were selected to deplane and be rebooked, with compensation. 3 of those have done so, but a 4th is not complying. This plane cannot leave the gate until this is resolved.” At that point, if pax pressure didn’t convince this guy, then the next announcement is “L&G, due to non-compliance, we now must deplane fully while we work out this situation. Please take all your belongings and return to the terminal, while we determine status.” Once they do that, problem solved! And your little snipe about “conservative outlets” is uncalled-for. I can point to as many or more of left-outlets who do similar character assassinations when the shoe is on the other foot. Let’s keep politics out of this site. Of course you’ve never read United’s Contract of Carriage. Because it refers to United’s rights to deny a patient boarding. This passenger was already boarded and they wanted to kick him off for no reason. It is also not a crime to disobey a crew member’s instructions. Interfering with a crew member is a crime & the definition is open to interpretation. Further, the law is meant to make people safe, not give airlines cart blanche to kick whoever they want to off a plane. Clearly this is the most compelling health IT news story in a while given the lively discussion above. Mr. H is clearly onto something here! I’m not sure Mr. H is ready to take on sites like today.com just yet, but give him some time, we’ll get there… As a first step, I think some of the HISTalk real-estate used for dinging competing healthcare IT publications that just re-print stuff they know nothing about can be expanded to contrast the discussion above with that taking place across social networks that don’t have the deep clinical and technology insight of the readership here. A. Clinicians struggling with EHR adoption? B. Technologists struggling with healthy lifestyle adoption? C. People who can spell HIPAA? D. Seasoned HIT newsletter editors with disdain for click-bait-wielding competitors? E. Anyone who values a good use of their time and subscribes to online publications accordingly? People who can’t spell HIPAA should be the first on the list for “re-accommodation”.